Hard water is the most common problem found in the average home. Hard water happens when calcium, magnesium, lime or other hardness minerals are dissolved in the water supply. This can cause soap to be less effective, such as dishwashers, laundry and showers. Water softeners remove these minerals through an automated process and without adding any sort of chemicals to your water supply. Find out more information in our water softener guide. These quality water softeners are made with Fleck Controls, Structural Poly Glass Tanks, and 8% cross link cation resin made by Resintech. You just can't get better components than these, but you can pay more, a lot more! 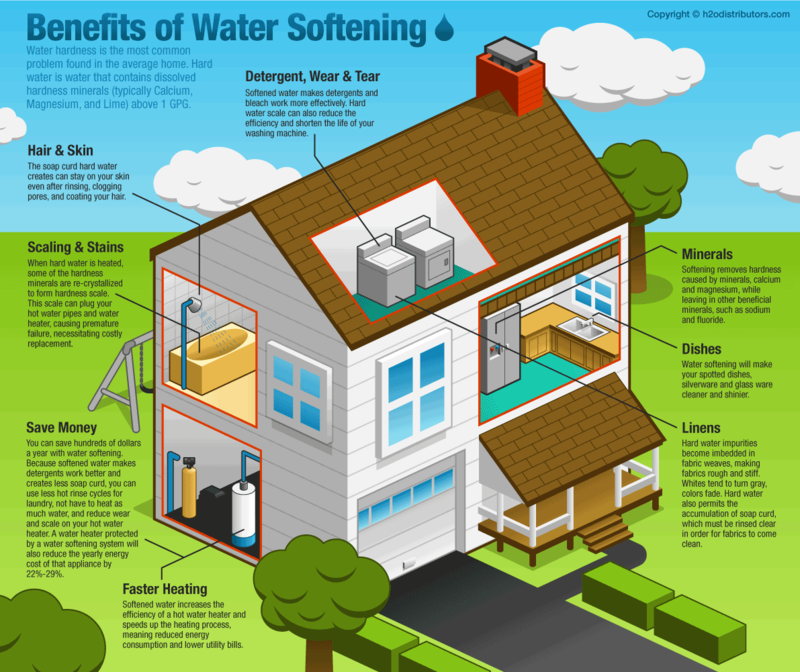 Call a Certified Water Specialist at H2O with your questions about these softeners. We will be glad to help you get rid of your hard water and save money in the process. Systems made in the United States of America.